Abdel-Meguid, a member of the Constituency Assembly of Egypt since 2012, is reluctant to endorse alarm concerning a supposed nationwide infiltration of militant Islamist movements. Nor is he willing to corroborate “exaggerated accounts” suggesting militant Islamist groups like ISIS are finding ready recruits in the Brotherhood ranks. “That is an overblown story. I don’t deny that there’s a sympathy there, or that some young and angry members have defected to ISIS. But their numbers are limited,” Abdel-Meguid says. “That is security jargon – this Qutbi thinking. 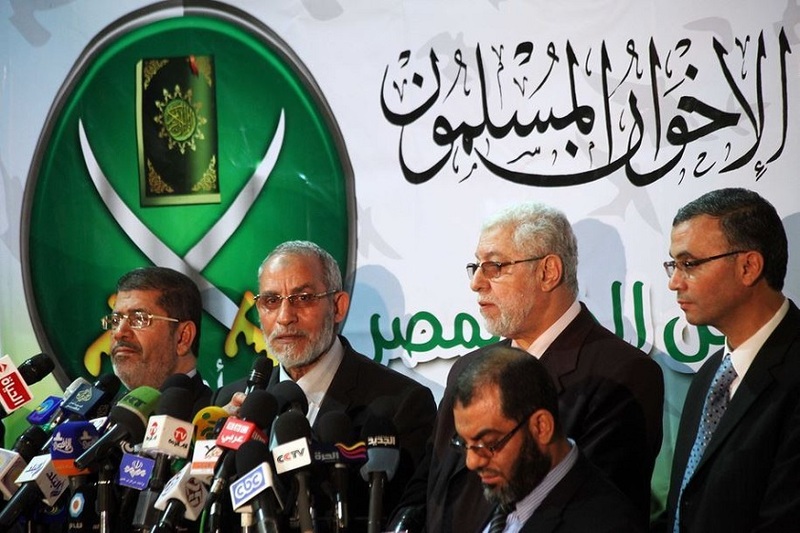 It’s popular in security circles and promoted by security-aligned media, in part to excuse the McCarthyism practiced against the Muslim Brotherhood,” Abdel-Meguid opines. Under the three-decade rule of ousted president Hosni Mubarak, Abdel-Meguid says, the state continued the short-sighted and undemocratic scheme of using the Muslim Brotherhood to serve a political agenda. Mubarak, however, did not aim to use Islamists groups to defeat other political movements, but rather to present moderate Islamist groups like the Brotherhood as an unsavory option – “the Islamist alternative” to his rule. For the most part, Islamists tangoed. The Brotherhood continued to act across the social spectrum, contesting parliamentary elections and criticising the regime, “short of criticising Mubarak himself”. “This was the situation when they started taking part in the slow surge of political activities that started around 2005, but once the demonstrators started to use slogans directly slamming Mubarak they [the Brotherhood] would step back. This was the case until the early hours of the 25 January Revolution,” says the long-time politcal commentator. The landslide success of all kinds of Islamist candidates at the 2011 parliamentary elections tempted the Brotherhood to go back on that agreement and to fall prey to the “arrogance of power”, says Abdel-Meguid. This arrogance set off a series of misguided political choices that eventually reminded society of its fear of “the Islamist alternative”, an alternative that had now become reality. “This explains the attitude of those who were very supportive of the Islamists in 2011 and were subsequently very supportive of the military in 2013,” when elected president Mohamed Morsi, a Brotherhood member, was ousted. The Islamists’ failure to grasp the political inclinations of society was highlighted when Morsi invited to 6 October celebrations one of the militants convicted of being involved in Sadat’s assassination at the same celebrations just 30 years before. “What they did was suicidal and it will be a very long time before the damage is rectified, especially with the terrifying expansion of groups like ISIS scaring Egyptians and the wider world,” Abdel-Meguid concluded.